Protecting your garden from the elements isn’t always easy, but there are ways to minimize the damage. Read on to learn how to protect it from flood damage. For those who take great pride in performing their own garden care, flood damage can be a devastating blow to many hours of hard work. The initial damage can wipe out much of what you’ve planted. However, the subsequent waterlogging can have even worse effects on your garden long after the storm has subsided. Unfortunately, man versus mother nature is a fight man rarely wins. Still, there are many steps you can take to minimize the damage caused to your garden when such does occur. Heavy wind and rain cause the most obvious, overt damage to your plants. These natural forces can quickly wipe out both ornamental plants and agricultural crop. These forces can also throw debris into your garden and wipe away much of the work you’ve put into making a well-landscaped area for gardening. Yet, after these natural forces have come and gone is often where the more severe, lasting damage occurs. Standing water can harm plants in many ways when a garden becomes waterlogged for an extended period of time. One such way is that this water prevents your plants from getting access to the sunlight they need for the process of photosynthesis. Another problem that could arise is when standing water builds up harmful toxins and bacteria. Plant root systems rely on clean, fresh water that has been filtered through the soil. When the water around the plant’s roots has nowhere to run to, it becomes stagnant and can become harmful. After the storm has passed and conditions are safe to do so, one way you can protect your garden plants from standing water is by digging somewhere for this to drain. Dig furrows or ditches near and below your garden to channel the excess water built up in your garden’s soil into. Waterlogging occurs when this water has nowhere to go, so giving it somewhere to drain can solve this problem. A factor to consider which works right in harmony with the previous point is planting your garden in an area of higher ground. You can do this by creating raised beds and berms, which will be far less likely to hold standing water. When draining your garden with the above-mentioned methods, the force of gravity combined with the raised nature of these beds will be conducive to faster draining. Even if you lose the battle to a storm in the present, it doesn’t mean you can’t win in the future. You may not be able to prevent a lot of physical damage from occurring. 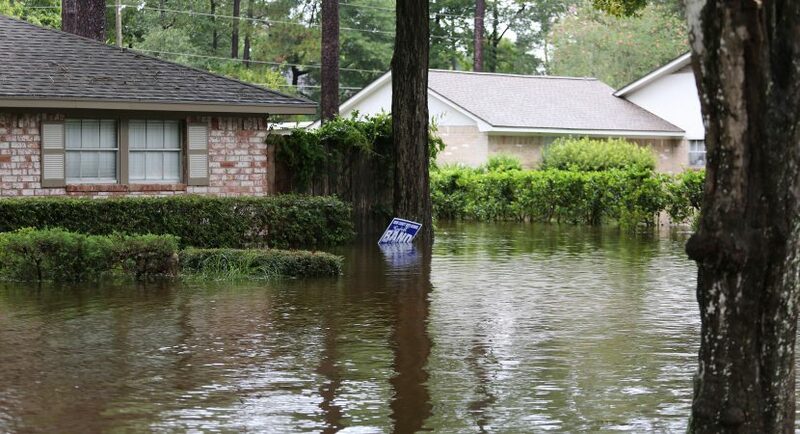 Still, you can prevent much of the emotional and financial damage by protecting your yard with flood insurance. The best flood insurance is of the type that will do this for you. It will allow you to get your garden area drained, repaired, and ready to be re-cultivated, even if it doesn’t cover the plants themselves. As we can see, although flood damage to your garden from a storm is almost impossible to fully prevent, these are some tips to equip you to minimize the damage if you see some inclement weather approaching. What if you are moving from home in the near future? Have you recently moved and had to leave your beloved, well-cultivated garden behind? Perhaps you are simply interested in planting your own garden for more natural produce or a more aesthetically-pleasing yard? If any of these sounds like you, check out this article offering tips on how you can successfully plant a beautiful garden from scratch.